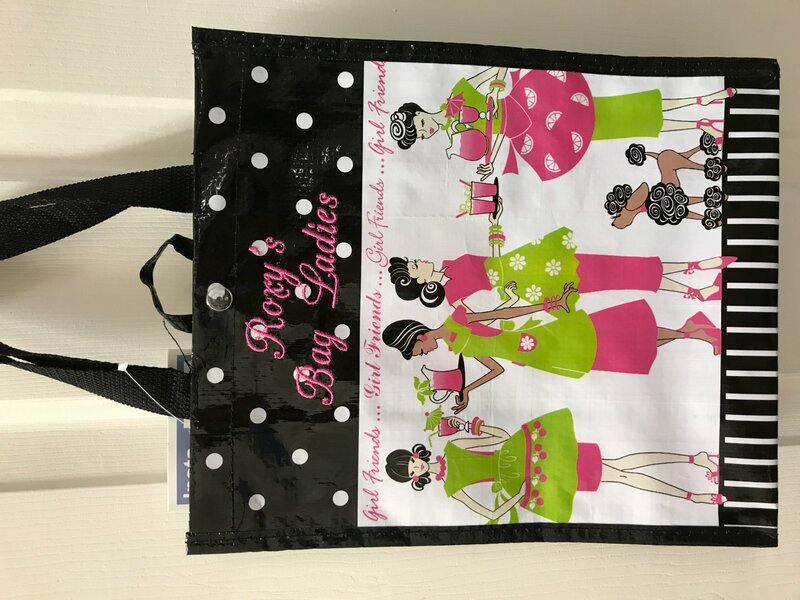 Purchase the "Roxy's Bag Ladies" Bag For $5.99 and a One-Time program fee at $5.00 to be included in the Program. Each month you will receive an e-mail letting you know which date is reserved especially for all our Bag Ladies to come in with their bag for 10% off your entire purchase! What great fun and to be a part of saving our Mother Earth, one less bag at a time.